Sea excursion of approximately 2 hours, with detailed explanation on the crustaceans and marine animals that we will meet on the way. 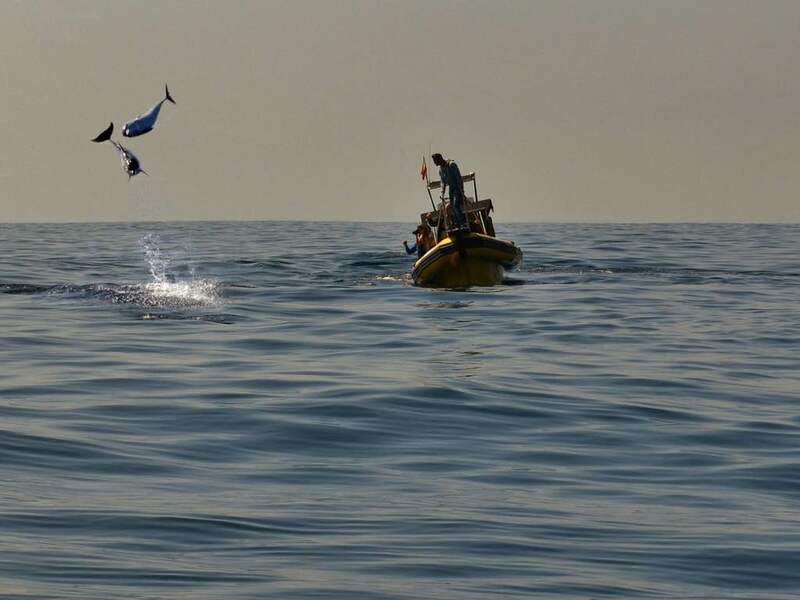 Dive into the wonderful world of cetaceans with our sighting tours from the Port of Tazacorte in La Palma. Learn throughout the journey all about these precious creatures, approaching them in their natural environment in the most responsible way. 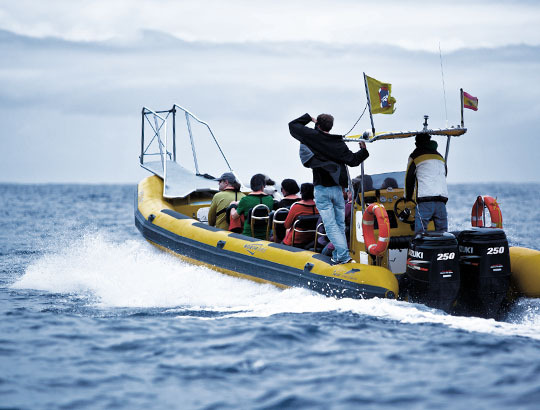 Discover the mysterious world of whales with daily departures from Tazacorte in La Palma. Realizing in just two hours the largest area of sighting, in which the possibility of seeing cetaceans exceeds 94%. With specially designed engines on our boat INIA we will Strictly follow the patterns of sighting of cetaceans when we approach these precious animals with great care and showing them the highest possible respect..
After a small welcome and presentation of the crew we will put the life jackets (brand, Laliza150N automatic) next to its instructions in case of emergency. Afterwards we will board on the INIA and begin the tour. During the departure out of the port, the guide will tell you a little about the possible sightings and the amazing marine fauna of the Island of La Palma. After leaving the port, the search for cetaceans begins. Also take an eye for yourself helping us to look for the animals, several eyes will see more than just a pair. After two hours we will come back at the port having lived an unforgettable experience. – Tour of approximately two hours. – Instructions on board and handling life jackets. – Expert guide on cetaceans. 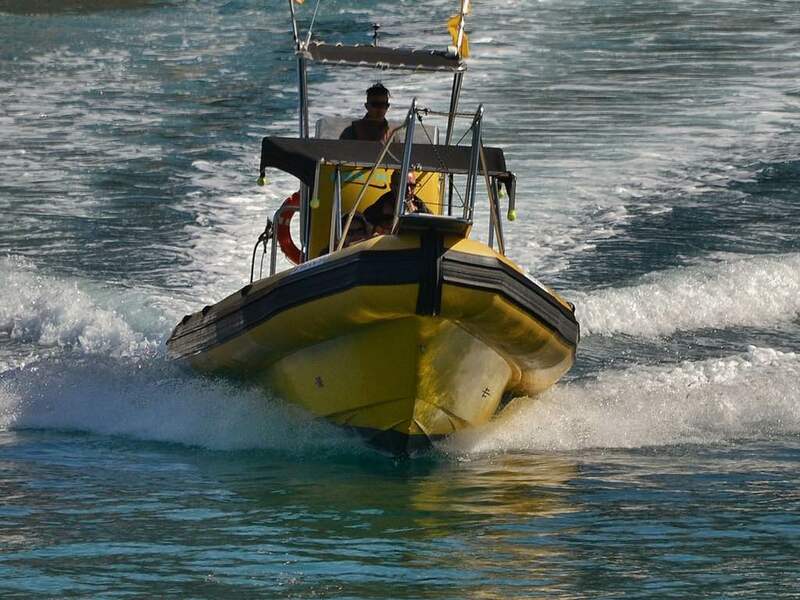 Speedboat (RIB) for up to 10 people. Enjoy the Island of La Palma like never before, living an unforgettable maritime experience and recovering contact with nature.